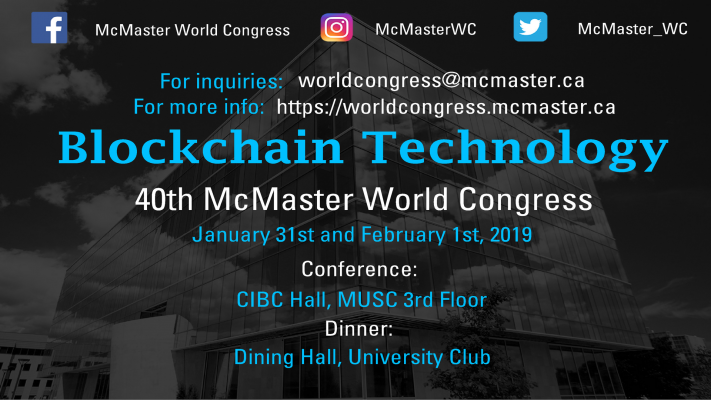 The McMaster World Congress is seeking ambitious students to help run its prestigious conference that has taken place for the last 40 years. This year it is scheduled on January 31 and February 1, 2019 to bring together academic students and industry professionals from around the world. Thursday, January 31 Noon – 5 p.m.
Friday, February 1 8:45 a.m. – 12:15 p.m.
To apply for this opportunity, please fill out the Google form before Monday, January 28. Limited spots are available, so act fast! More information about the event can be found on our website.